It's a natural gas that supporters say could power another resources boom in Australia. Coal seam gas is found in coal deposits and it has supplied 90% of domestic gas in the state of Queensland for the past two decades. But activists want to stop exploration in neighbouring New South Wales because they say it is an environmental catastrophe. 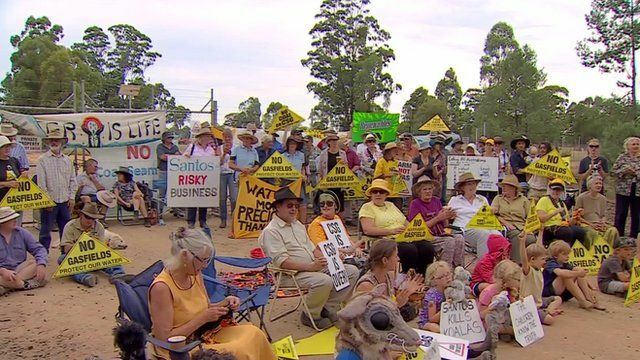 The BBC's Phil Mercer went to a huge protest near the farming town of Narrabri.